Wales have done the unthinkable. They have slain the beast in its lair. On Saturday last in dramatic fashion, the Welsh claimed the lead late in the match and then held off a determined, desperate England at Twickenham for 28-25 victory. 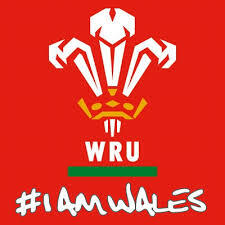 Wales are hurting for sure, but a dragon is most dangerous when injured, don’t forget! This (the Twickers outcome) makes the Pool of Death more murky than ever with the results of England v Australia next Saturday, 10.3, and Australia v Wales, 10.10, being the determinants that will enable movement to the knockout stage or an unsatisfactory (one should think) relegated view from the stands. A brace of Tests, South Africa v Scotland on 10.3, and Scotland v Samoa, 10.10, will be the deciders for transfer of national XVs from pool-to-knockouts in the 'B' Pool. Failing upset, New Zealand and Argentina will advance after the Pumas 54-9 victory over Georgia last Friday. And it’ll be Ireland and France who make the knockouts from this group. Don’t forget, the finalists in RWC 2011, New Zealand and France, both emerged from the same pool; France after losing its pool match to Tonga.